Being a homeowner is not as simple as it sounds because it involves a lot more aspects than having a property. Homeowners need to perform a lot of routine inspections and maintenance to their houses to ensure they do not lose their value. The earlier a person can detect the damage going on in their house the better for them because they can repair the damage. Waiting till the damage is severe will only cost one more money. One of the major damages that a homeowner needs to look out for is cracks and leaks in the foundation. Small cracks in the foundation can cause larger problems in the structure of the house and cause its value to diminish greatly. The first sign to look out for in one’s foundation is the cracks on the wall that run from the ceiling to the floor. These cracks may also be on the exterior of the house and in the basement. Another place that one can look for cracks is in the chimney or on the floor. All these fractures present problems with one’s foundation. 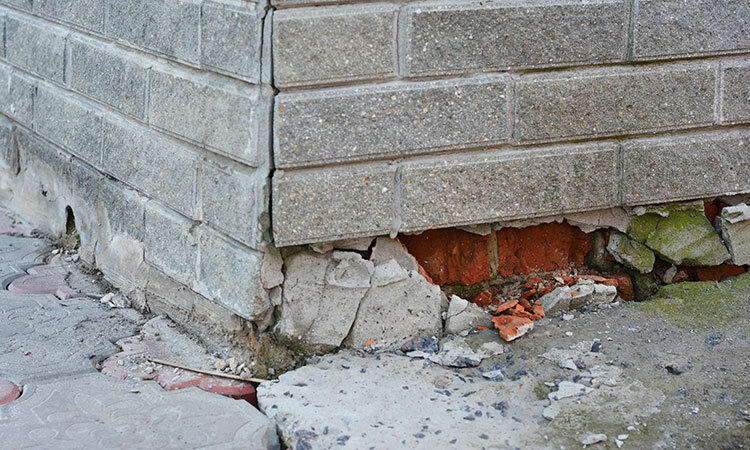 Luckily, home foundation repair can fix these problems if one gives them a call. Also, note that it is normal for a foundation to have small cracks after the first few years of construction because of sinking. However, severe cracks could mean a problem. One can contact a professional to check out the cracks. If one notices their foundation is moving in an upward direction, this means the foundation has a problem. When this happens, the perimeter of the foundation is affected, and it impacts parts of the house such as the hallways. While sinking is normal in newly constructed houses, it may be a concern if part of the foundation is sunk lower than the rest. For instance, one may notice one part of their house is lower than another part. This prompts for a technician to have a look and assess the problem at hand. This sign is straightforward to note because one uses the door every single day. If one notices their doors do not close properly and are always sticky, it is an indication there is a problem with the foundation. This mostly affects the interior doors of the house. As for the exterior doors of the house, they usually appear uneven and tend to drag. One can also notice they hang down. Look at the kitchen cabinets in the kitchen or cabinets in the room. If one notices they have separated from the wall and there is a gap, it means there is a foundation problem. Over time, if the foundation problem is not fixed, the gap gets bigger. If one detects problems with their foundation, they can contact home foundation repair to get it repaired at an affordable price.